Talleres FORO. News. NEXT APPOINTMENT: TECNARGILLA 2018. HOME NEWS NEXT APPOINTMENT: TECNARGILLA 2018. 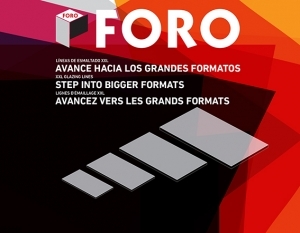 This year FORO is focusing on machinery to produce big formats. As we informed in previous posts, Talleres FORO has built in the last years the lines that are producing the biggest format in Spanish ceramics industry. Their particular features will be shown at Tecnargilla.